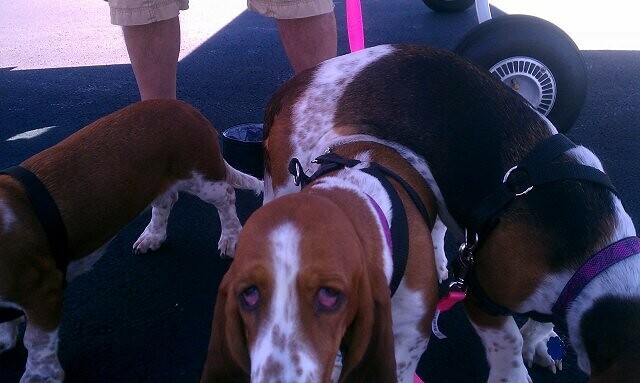 Three little basset girls/sisters, Bama, Georgia and Julep had a rough life in just their 1 & 1/2 years, located in Panama City Fl. Since they were little puppies, all they had known was one another, living life in an outdoor kennel with only one worn doghouse to call home. Their only human interaction was when food was thrown into their kennels. The owner put them up for sale, to be bred, and a good Samaritan convinced the owner to sell them all to her. 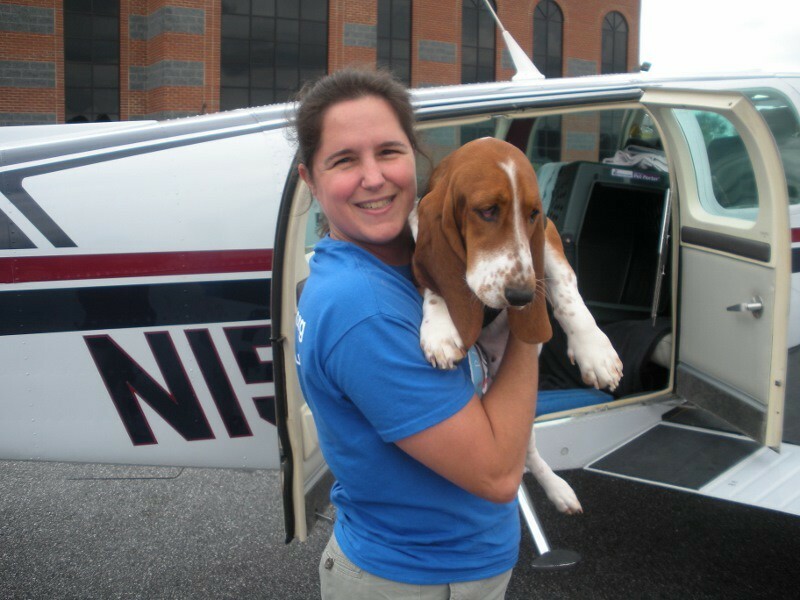 She immediately contacted basset rescues all around the country for help and ABC Basset Rescue of NY jumped in. It was a time sensitive issue and with the help of wonderful Pilots N Paws pilots, they are now safely with this wonderful rescue and have the hope of finding wonderful forever homes. Pilot Jeremy Craven flew them from ECP to LCG on Saturday, 9/28. 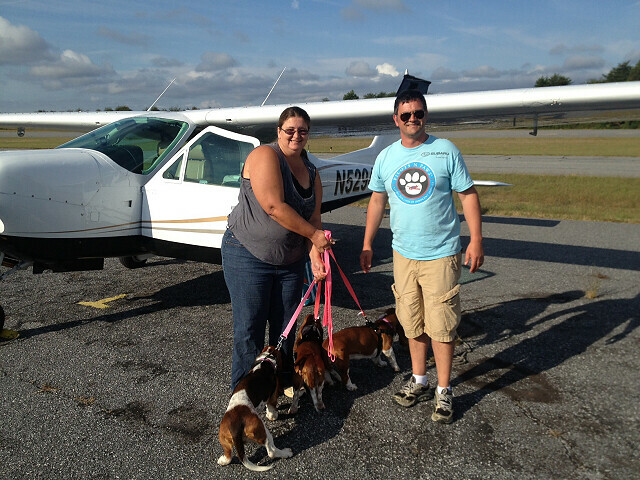 Susan Pollack Delgado picked up the second leg, flying them from LCG to HKY in NC. We were able to get the help of a wonderful temp foster who picked them up, kept them overnight and delivered them to the airport for their next day of first class flying. On Sunday (9/29), Christophe Masiero took the Day 2 Leg 1 from HKY to SHD . Michele McGuire and Cheri Henke took Leg 2 from SHD to DMW. Madhavan Thirumlai and Sergei Levitan took Leg 3, the final leg from DMW to N66 and now all girls are safe and sound with ABC Rescue of NY, a wonderful rescue group. Events like this are awe inspiring to me. So many folks coming together, across so many states, taking the time out of their busy lives- all to help 3 little girls to safety. We are so grateful to all of the pilots for their help. The pilots are the true inspiration. Without their help, Bama, Georgia and Julep wouldn't have the promise of great lives as they do now. 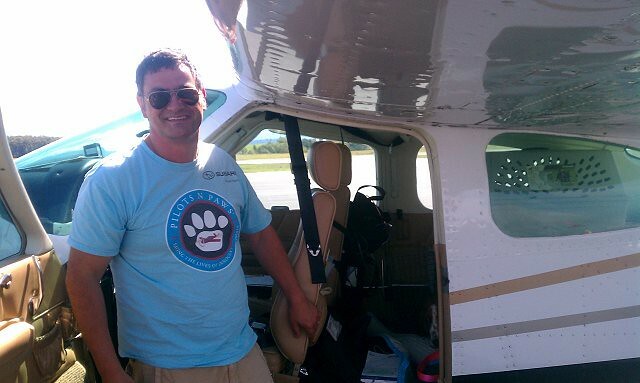 My hope and my wish is that each pilot knows how much we truly appreciate their participation in Animal Rescue. They are our Angels with Wings! The next hero is Susan. She flew the trio from GA to NC. There the girls got a much needed rest with Dana. She graciously offered overnight hospitality to all three lucky girls. Dana brought Bama, Georgia and Julep to the Hickory, NC airport early Sunday morning to meet their next pilot Christophe. 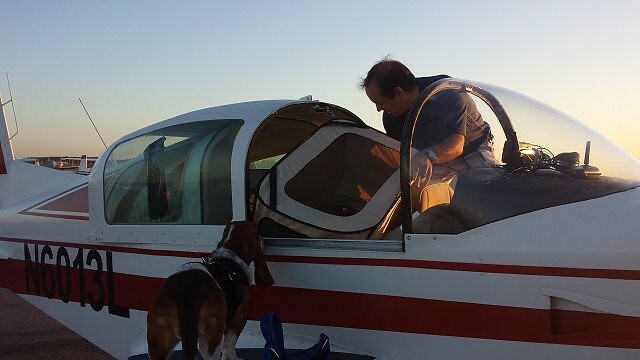 Christophe arrives at KSHD, Staunton, VA with the now very experienced flying bassets. We had a smooth flight up the Appalacian mountains. 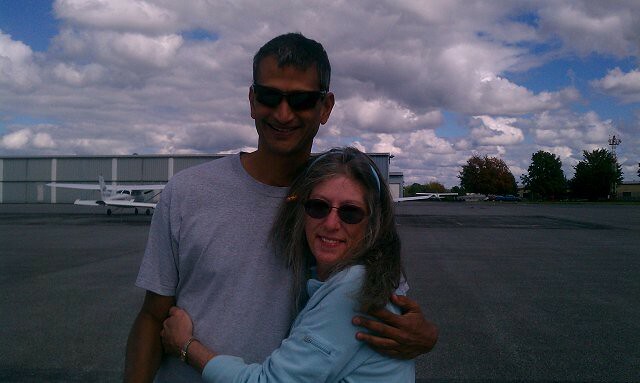 Back at KDMW, Westminster, MD, Team Mutt Muffs Michele gives the final leg pilot Madhavan a hug. 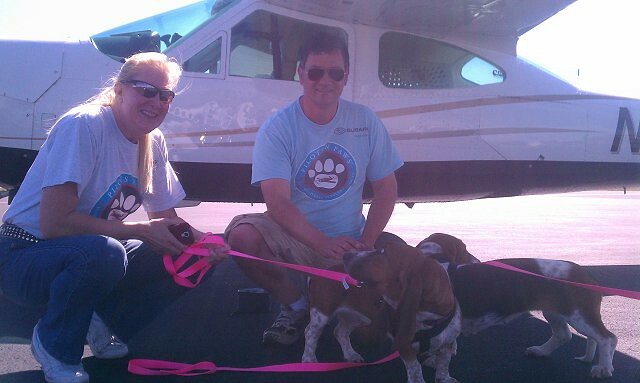 Bama, Georgia and Julep have just one more flight to go before they arrive at ABC Basset Rescue. The folks there will make sure they find the perfect families. So many people came together on this one to help three little basset sisters. Thank you all.